Craving for chocolate shake? Try this healthy alternative to the usual calorie-laden smoothies. 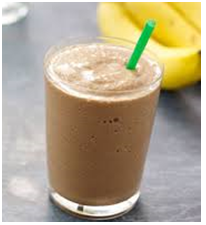 This recipe uses almond milk, banana, and cocoa powder.